Synopsis: Good, Reprint of the 1948 edition. 320pp. Wonderful and profuse b&w illustration by Stuart Tresilian, pages clean and free from inscription. Bound in yellow cloth with blue and dark brown illustration to upper and spine; a little rubbed to edges. Displayed within original unclipped (8s. 6d.) matt dust-jacket, with wonderful colour wrap-around illustration depicting the coast, large closed tear spanning the width of upper + wear to edges, this does not detract from the wonderful illustration, now protected in non-adhesive plastic wrap. 320pp. Wonderful and profuse b&w illustration by Stuart Tresilian, pages clean and free from inscription. Bound in yellow cloth with blue and dark brown illustration to upper and spine; a little rubbed to edges. Displayed within original unclipped (8s. 6d.) 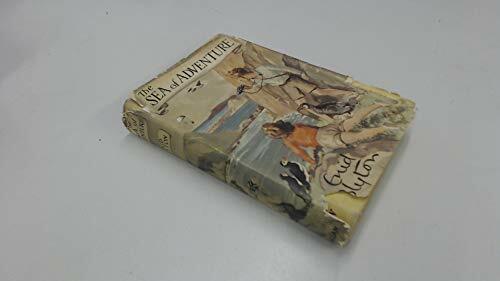 matt dust-jacket, with wonderful colour wrap-around illustration depicting the coast, large closed tear spanning the width of upper + wear to edges, this does not detract from the wonderful illustration, now protected in non-adhesive plastic wrap.